I was asked a question by another anonymous fan to how to get rid of tan. Pollution is the root cause of all sorts of skin problems today. I have recommended all on my followers on frankly.me app to have lots of water every day at least 2 liters because it’s pure H20 (Oxygen+Water) and have a regular cleansing toning and moisturizing ritual! In order get rid of you dull skin patches and discoloration there is another miracle cure. To remove the tan of your face which happens due to pollution + sunlight can be removed by The OxyLife Crème Bleach, it is a revolutionary product with goodness of Oxygen in it. It is good for any skin types. 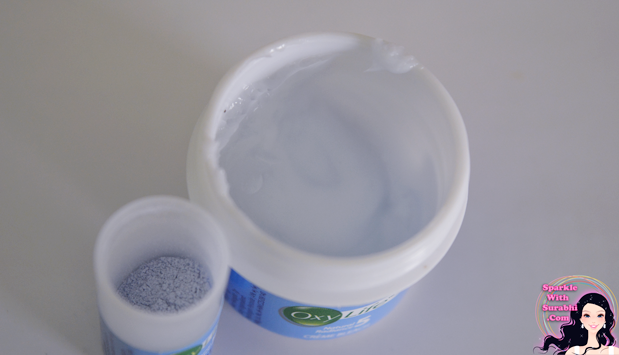 OxyLife Crème Bleach is one of the premium bleaches that exist in the market. 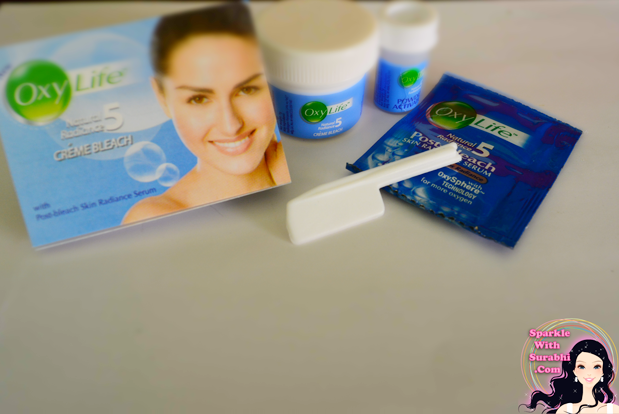 It lightens the skin tone, removes dead skin and tan, and helps you get flawless fair skin in just 15 minutes. This is an Ammonia Free Product. 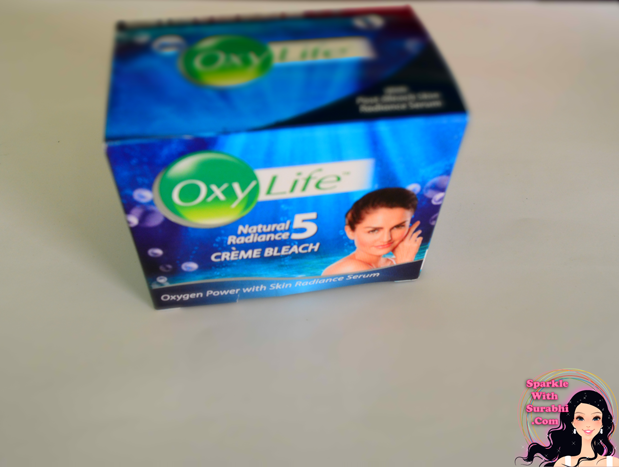 Oxy Life Crème Bleach infuses new life into dull patchy skin and also brings a healthy glow. This bleach is even safe for the most sensitive skin types and will perfectly blend your facial hair into your skin tone. 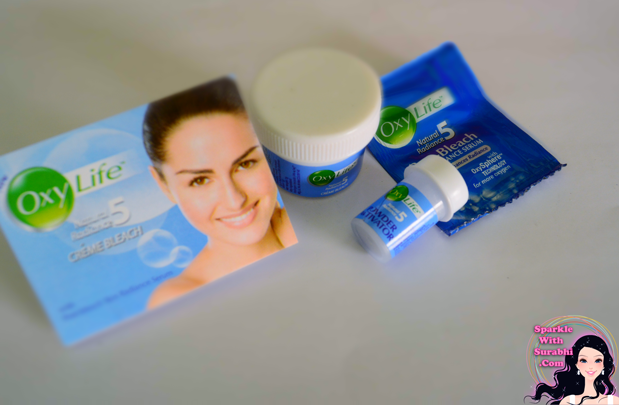 I have been using OxyLife Crème Bleach myself for quite some time and I have Acne prone, sensitive combination skin type. So this is most delicate and volatile skin types you can across. A bad product will surely ruin my skin. However The Oxy Life Crème Bleach did not do that you my skin, it gives healthy glow and makes your skin shine like none other. You too can try this at home it is very good remedy to get rid dark patches, facial hair and to remove tan. OxyLife Crème Bleach is Ammonia Free. This Bleach will help you to remove your tan and fight with discoloration of skin which generally happens due to long exposure in Pollution and Harsh Sunlight. Step 1 - Wash face with plain water and pat dry. Step 2 - Take crème bleach and powder activator in the ratio of 7:1. Step 3 - Using the spatula, mix the activator and crème for a good 2 minutes till the powder activator dissolves completely. Step 4 - Apply the mixture on the area to be bleached. Avoid application on eyebrows and around the eyes. Step 6 - Wash off with cold water. Step 7 - Apply the post-bleach skin radiance serum on the bleached area and see a visible radiance! Use only once in 6 months; if in case you have a severely patchy skin or tanned skin then you can use it within 3 months. Make you sure check the expiry date at the back of the pack. Avoid your eye area and eyebrows, bleaches are not suitable for area. It is a premium product and does not contain ammonia. Post-Bleach serum comes along with the pack which enhances radiance. It is has floral fragrance. Does not sting the skin. Does not make your eyes water. Skin does not feel dry post application of the Bleach. Adds glow and new life to your skin. Do not apply directly on pimple or acne especially if they are open. Wait for few days till the white heads come out and the pores close. The Post Bleach serum adds extra radiance on your face. "So, you can see that OxyLife Crème Bleach has more benefits than drawbacks. It is miracle cure for Tanned and Pollution Damaged Skin. You too can use it in every 6 months to add a miracle glowing radiance and fairness to your face!! #SayYesToOxygen"